Now that the AdventureWorks database has been integrated into the database setup in the Azure Portal, see how you can set it up on a SQL Server in 2 minutes. I remember when I wrote a blog post in 2014 about how you can set up the AdventureWorks Sample Database on a SQL Server hosted in Azure in under 10 minutes. Well, today, we can beat this time. 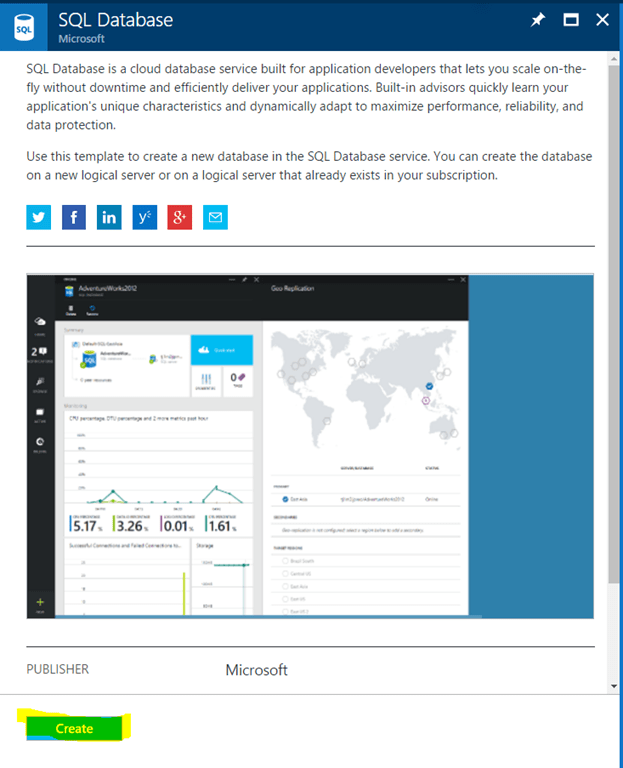 Navigate to the Azure Portal and click the New button. Then, search for SQL Database. On the next screen, click Create. Fill in the details — specify a database name, select a subscription, and select a resource group. Then comes the important part. In the drop-down Select source, take Sample (AdventureWorksLT) instead of blank. Select or create a database server and adjust your pricing tier. Now, you have a SQL Server in Azure that contains the entire AdventureWorks database. It could not get any easier than this! Azure is amazing! Note that in order to connect from a client such as SQL Server Management Studio (SSMS) or Visual Studio, you need to allow connections from your IP on the Firewall blade from your database server in the Azure Portal. Check out this description. Published at DZone with permission of Manuel Meyer , DZone MVB. See the original article here.